The Grange borrowed heavily from the Freemasons, employing complex rituals and regalia. In 1867, the first such national organization was formed. Led by Oliver Kelley, the Patrons of Husbandry, also known as the Grange, organized to address the social isolation of farm life. Like other secret societies, such as the Masons, Grangers had local chapters with secret passwords and rituals. The local Grange sponsored dances and gatherings to attack the doldrums of daily life. It was only natural that politics and economics were discussed in these settings, and the Grangers soon realized that their individual problems were common. Identifying the railroads as the chief villains, Grangers lobbied state legislatures for regulation of the industry. By 1874, several states passed the Granger Laws, establishing maximum shipping rates. Grangers also pooled their resources to buy grain elevators of their own so that members could enjoy a break on grain storage. Farmers' Alliances went one step further. Beginning in 1889, Northern and Southern Farmers' Alliances championed the same issues as the Grangers, but also entered the political arena. Members of these alliances won seats in state legislatures across the Great Plains to strengthen the agrarian voice in politics. What did all the farmers seem to have in common? The answer was simple: debt. Looking for solutions to this condition, farmers began to attack the nation's monetary system. As of 1873, Congress declared that all federal money must be backed by gold. This limited the nation's money supply and benefited the wealthy. The farmers wanted to create inflation. Inflation actually helps debtors. If a farmer owes $3,000 and can earn $1 for every bushel of wheat sold at harvest, he needs to sell 3,000 bushels to pay off the debt. If inflation could push the price of a bushel of wheat up to $3, he needs to sell only 1,000 bushels. The economics are simple. To create inflation, farmers suggested that the money supply be expanded to include dollars not backed by gold. The first strategy farmers attempted was to encourage Congress to print greenback dollars like the ones issued during the Civil War. Since the greenbacks were not backed by gold, more dollars could be printed, creating an inflationary effect. The Greenback Party and the Greenback-Labor Party each ran candidates for President in 1876, 1880, and 1884 under this platform. No candidate was able to muster national support for the idea, and soon farmers chose another strategy. Inflation could also be created by printing money that was backed by silver as well as gold. This idea was more popular because people were more confident in their money if they knew it was backed by something of value. Also, America had a tradition of coining silver money until 1873. 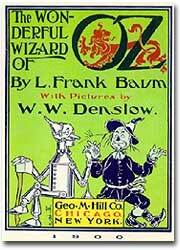 Many believe that The Wizard of Oz was written as an allegory of the age of Populism. Out of the ashes of the Greenback-Labor Party grew the Populist Party. In addition to demanding the free coinage of silver, the Populists called for a host of other reforms. They demanded a graduated income tax, whereby individuals earning a higher income paid a higher percentage in taxes. They wanted political reforms as well. At this point, United States Senators were still not elected by the people directly; they were instead chosen by state legislatures. The Populists demanded a constitutional amendment allowing for the direct election of Senators. They demanded democratic reforms such as the initiative, where citizens could directly introduce debate on a topic in the legislatures. The referendum would allow citizens — rather than their representatives — to vote a bill. Recall would allow the people to end an elected official's term before it expired. They also called for the secret ballot and a one-term limit for the President. In 1892, the Populists ran James Weaver for President on this ambitious platform. He polled over a million popular votes and 22 electoral votes. Although he came far short of victory, Populist ideas were now being discussed at the national level. When the Panic of 1893 hit the following year, an increased number of unemployed and dispossessed Americans gave momentum to the Populist movement. A great showdown was in place for 1896. This detailed, but easy-to-follow essay traces the hardships suffered by farmers in the West and South and the growth of populism. This biography of Oliver Kelley, founder of the Grange, focuses mostly on his early life, pioneering in Minnesota. Illustrated. A brief look at the founding of the Order of Patrons of Husbandry, informally called the Grange, America's first organization to lobby for farmers and rural residents. After the Bland-Allison Act was enacted in 1878, silver dollars were reintroduced into currency. Between 1878 and 1904 over half a billion "Morgan" silver dollars were struck. Peter Cooper, who was the Greenback Presidential candidate in 1876, was the same man who founded Cooper Union in 1859 offering free courses in science, engineering and art, and who built the locomotive "Tom Thumb" in 1830.